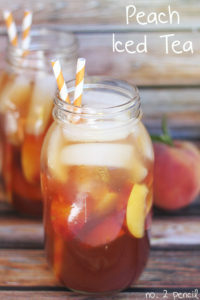 With the weather heating up, there’s nothing like sweet and hydrating beverages to cool you down. 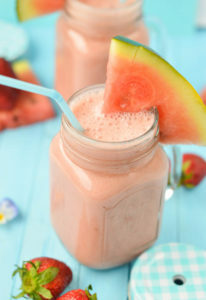 We hope you enjoy these super refreshing recipes and be sure to sign up for Summer Home Delivery so you don’t miss out on all the delicious summer produce! Rinse lemons and cucumbers before slicing; slice thinly. 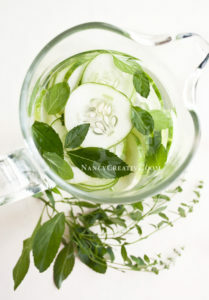 Add lemons, cucumber, and mint to pitcher. Cover with water and refrigerate at least 4 hours or overnight. Pour in a large glass over some ice…it’s very refreshing! This water tastes best the day or day after you make it. 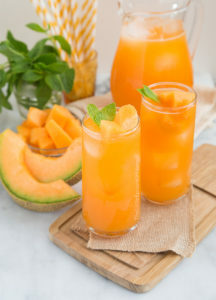 Pour liquid cantaloupe into a large pitcher. Add water and lime juice. Stir to comine. Sweetened with sugar according to taste. Keep chilled in the fridge until ready to serve. Blend 1-2 minutes or until smooth. 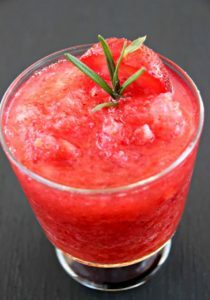 Serve with extra watermelon slices and fresh strawberries.